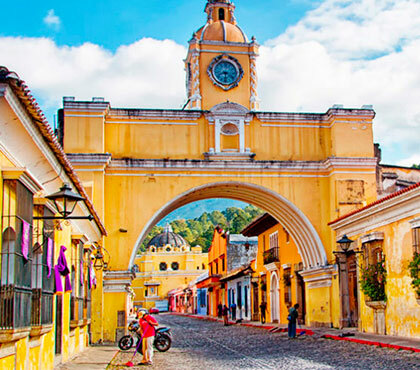 Take a Cultural Walking Tour in the streets of Antigua Guatemala, have the opportunity to see the architecture, restorations, know its history and cultural trends that are occurring. 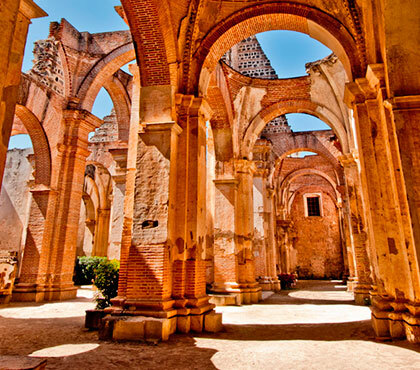 You will visit the Town Hall, the Palace of the General Captains, the Cathedral and its magnificent ruins that saved a lot of history. Meet the Jade Museum, where you can understand the Mayan religiosity and end the daytrip on the ride of Museums. At the end you will realize that you made a trip to the past. This tour has no pre-defined schedule; you will be able to choose the time is best for you to take it. This tour is of much interest and details. 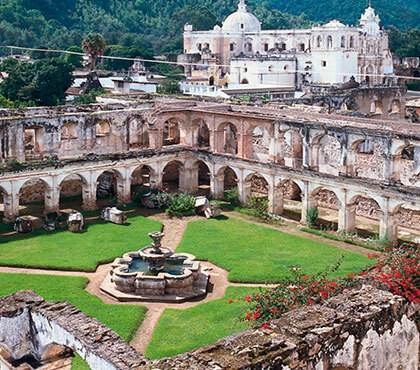 You will be able to walk beside the guide and know the wonders of Antigua, its culture, history and Mayan heritage. 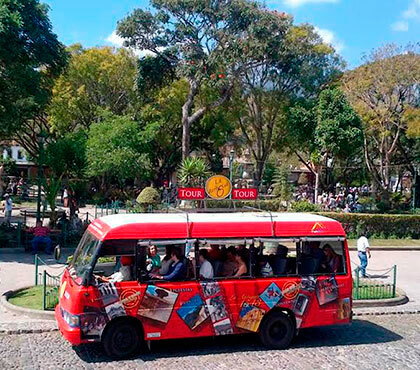 The tour is private and you will have the English spoken guide just for you, your family or friends. Tour length: 3 hours approx. 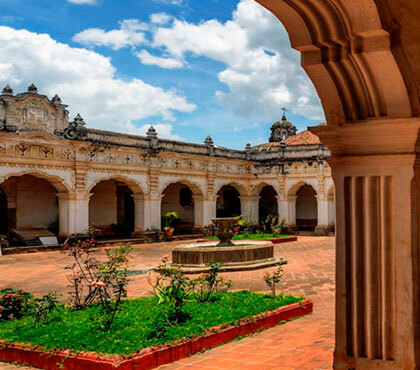 Our concept is to make a tourist circuit that ensures the passengers the most comfortable way to visit Antigua Guatemala. 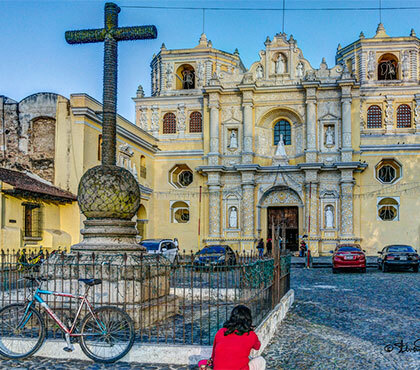 Making a scenic tour 10 attractions where the passenger can descend the bus and visit the various items offered by the destination of La Antigua Guatemala Cultural City, this allows passengers to know the architectural and historical style of the city. this new product is innovative tourist transport to this destination, it is original, is comfortable and allows people visiting the Antigua Guatemala to know and experience the architecture, history, gastronomy, coffee farms, neighborhoods, museums, parks, churches and people traveling in history, being one of the best tourist options to know this spectacular destination. Tour Length: 2 hours and a half approx. 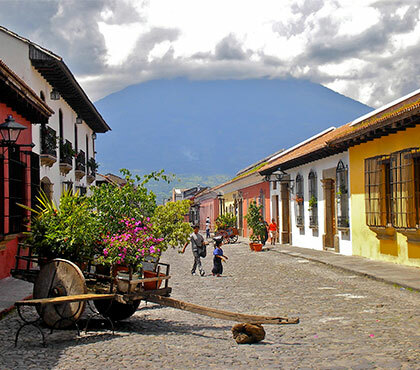 The Cultural Walking Tour of Antigua Guatemala is an amazing tour you cannot miss. You will visit many important places you must see while you visit this beautiful city.